However Mooney was the hero, defying illness to hit a match-winning 65 off 46 balls in front of a sold out crowd of 5,368 - and several hundred more watching from vantage points outside the suburban ground in Sydney's inner west. The knock makes her the player with the most WBBL half-centuries with 17 and also with most runs ever scored in a WBBL final. The Sixers' powerful top order failed to fire on the big stage with Ellyse Perry top-scoring with 33. 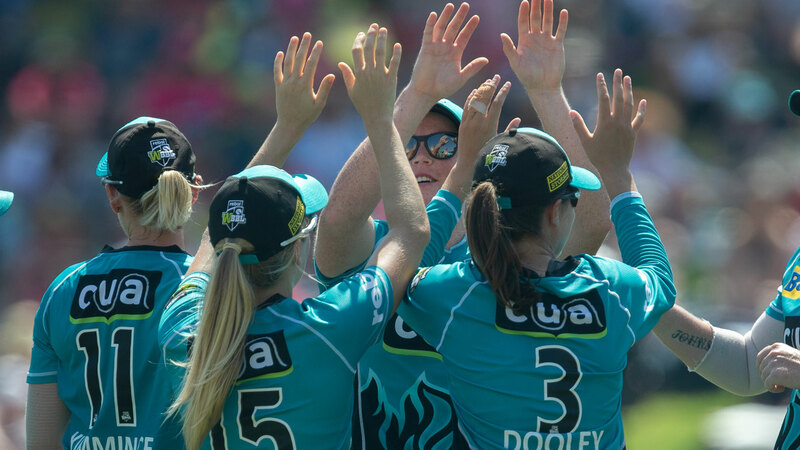 Perry was dropped by Laura Harris on 23 however the superstar allrounder - who was smashed records by hitting 777 runs this BBL season - failed to make them pay, hitting just one boundary during her 37-ball innings.